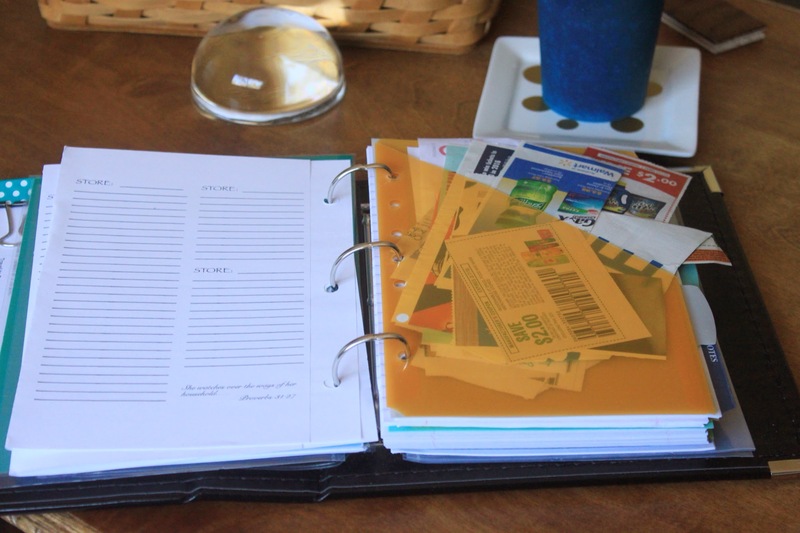 I am no organizing guru, but I have figured out a few things that work better for me, which I believe to be the key of success in organizing anything. 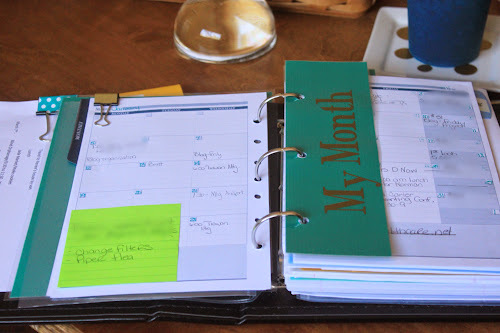 Last year I talked about how I decided to make my own planner and now I am a year into it and I am still loving what I came up with and most of all still using it which is the point, right? Through out 2014 I rethought and changed things that were not working as well as I would like, I upgraded a few other things that were working well. Today this is my planner for the new year! I started out with a 5 x 8.5 binder that was just a few bucks, I didn't want a big investment. But the quality wasn't great and it started to show some wear and tear. So I upgraded to this binder in black and I am pleased with the way it is wearing so far. My first section is a monthly calendar, I buy the generic from Avery and fill it in for myself. I have a marker that I created so I could turn to this quickly. I have to have to be able to look at my month overall. My next section is my week. I tried several daily page planners from several different bloggers, before finally sitting down to come up with my own. Mine is very basic, created on my Ipad, but it works best for me. I have each day, where I can include the date with several blank lines to include either a to do list for that day or whatever I need. I have a place that I can mark off when (if) I exercised, I hate to exercise and need constant reminders that this is important. I also have a place to mark off my daily Bible Reading. Any notes or more detail has it's own section. I have a section for goals of things that I want to finish for the week that includes anything from make kitchen curtain to week the flower bed. These are generally projects that require more than one day to accomplish. 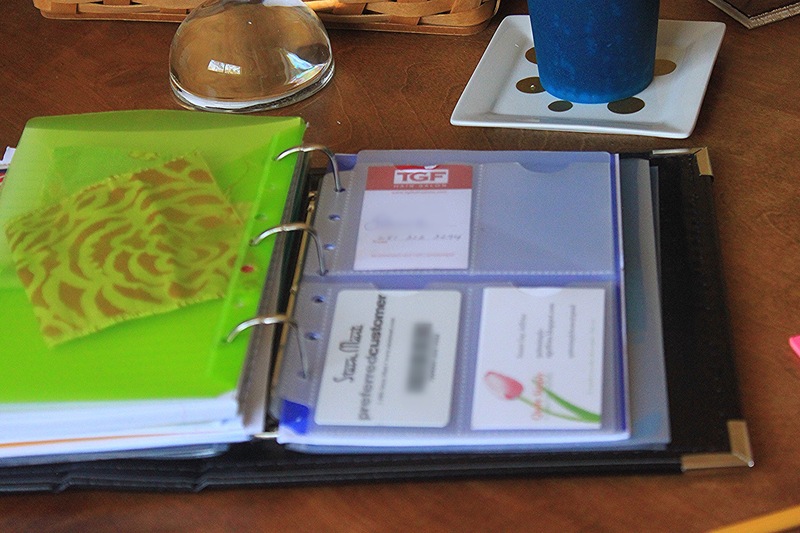 I also have a place for my menu plan for the week as well as a cleaning schedule that is broken into zones for my home. I have realized that I don't need great detail, just direction. This is a full 8.5x11 sheet of paper that I fold and the second half has lines for my shopping. I can easily take this part off to take in the store, if I don't want to take my whole binder. Behind this is a pocket to slip any coupons that I might have for my shopping. Now for some of you, this is crazy and you just use your phone or grab a random calendar, but for me I needed something that was specific for my life and how my mind works. 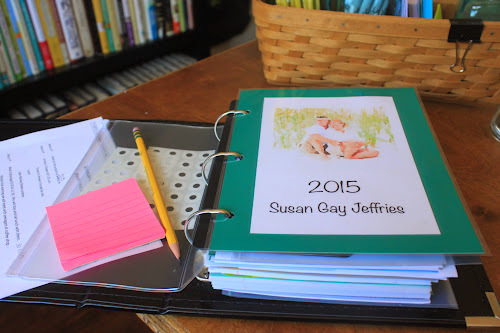 If you are struggling to find the "perfect" planner, I would encourage you to make your own! I even took the opportunity to make it a little cuter including my monogram and some matching clips. And lots of Post it Notes for my addiction! 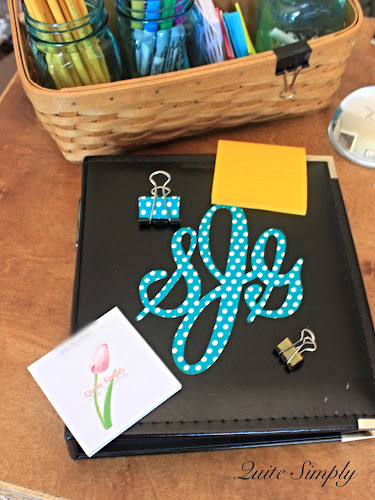 I would suggest with starting with just a couple of things and then adding to as you discover a need for more, that helps with cost, although this is not an expensive project if you use things you have on hand to start with, especially compared to the commercial personalized planners. Wow. I am absolutely amazed at how talented you are! This looks great. Thank you so much. It really works for me and doesn't hurt that it is cute! I don't use a planner like I used to, just a daily pocket calendar. 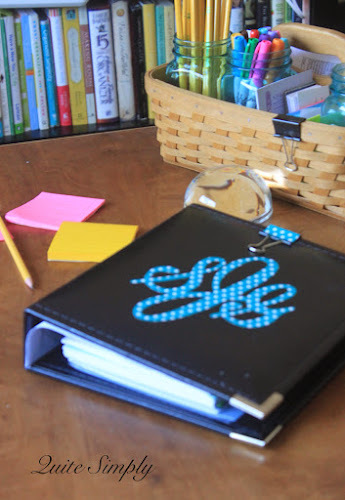 Love yours, great idea to customize it for individual needs. Thank you Cindy for always hosting such a fun party and thanks for stopping by Quite Simply! Thanks so much for dropping by, I love that my planner is functional to my life! It really does make me more intentional about using it! That came out great! I love the coupon spot! Thank you Christine. It really is functional for me. So glad you checked me out! Love the way you made this so that it WORKS for you! I need to take this approach to everything! Thanks so much for joining Grace at Home! I'm featuring you this week. Thank you for the feature, Richella!